We’re excited to announce our enhanced magazine app, available on all your mobile devices! It features current issues, archives of past issues, videos with the field’s top experts, compelling case studies, and practical tips. If you’re already a subscriber, you’re all set to get FREE access. Once you’ve download the app, simply tap “Access” and log in as a Current Subscriber using your account number and postal code (plus 4 digits). You’ll find your account number in the confirmation email you received after subscribing to the magazine, or on the mailing label of your print magazine. If you still can’t locate it, send an email to customersupport@pesi.com or call 1-888-851-9498. If you’d like to have access to the app but aren’t a magazine subscriber, please purchase a discounted subscription through our site here. If you’d prefer not to receive the print magazine, just let us know. 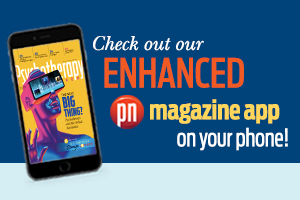 We hope you enjoy this enhanced app so you can easily enjoy Networker articles wherever you are from innovators like Brené Brown, Jon Kabat-Zinn, Bessel van der Kolk, Esther Perel, John and Julie Gottman, Dan Siegel, Rick Hanson, Gabor Maté, Richard Schwartz, Janina Fisher, Susan Johnson, and many others. I am looking for the article on the Top 10 Therapists, I believe it was in the 20th anniversary edition. I'm a professor and use this in my class. I would like to susbscribe, thanks. I am a print subscriber trying to figure out how to download app. I’d like to access the March-April 2018 issue. I am a subscriber and did not receive this issue by mail.